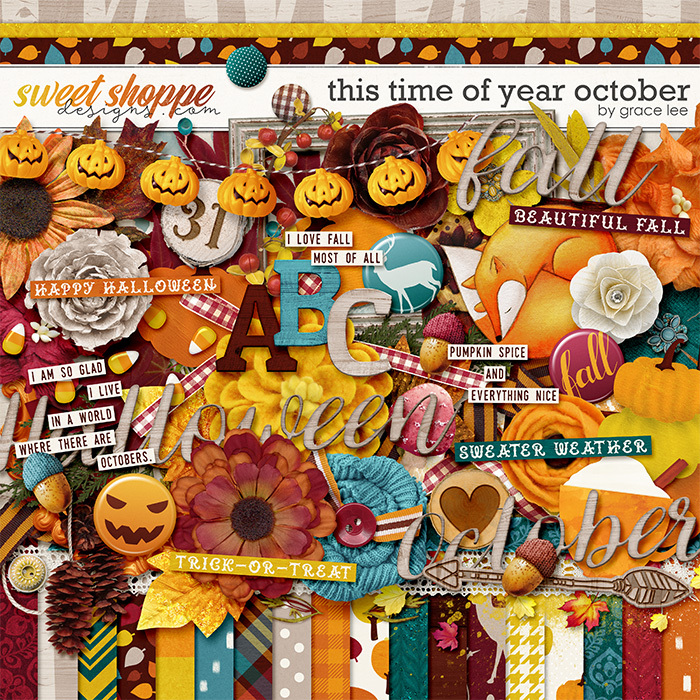 Designs by Grace Lee: Happy Digital Scrapbooking Day! It is such a fun special day and as a result there is a lot of new (and returning) kits. 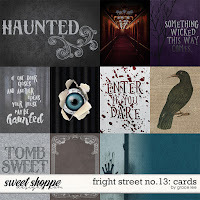 First is perfect for spooky halloween layouts! 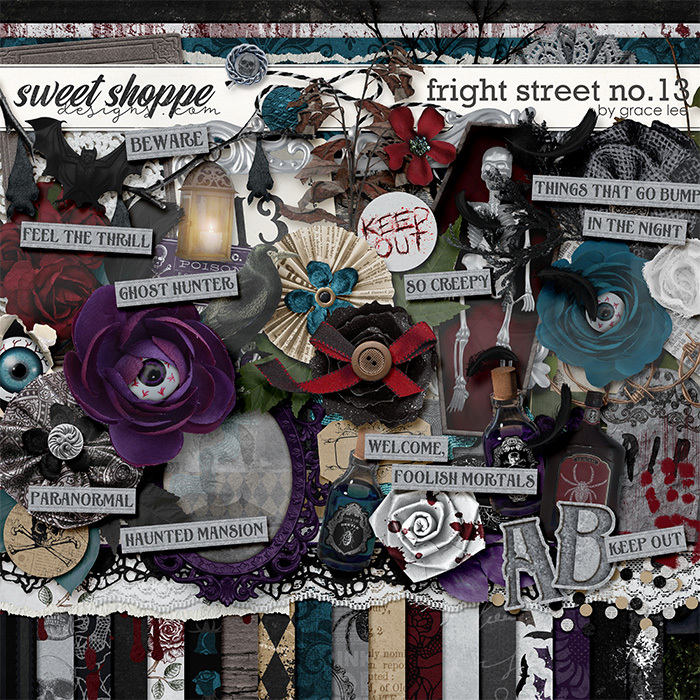 Fright Street No.13 is perfect for capturing the thrill of all of the haunts and spells of the season. Your frightening layouts of Halloween fun will look spooktacularly enhanced by the eerie papers and elements in this ghostly collection. Of course the best deal is always the bundle! 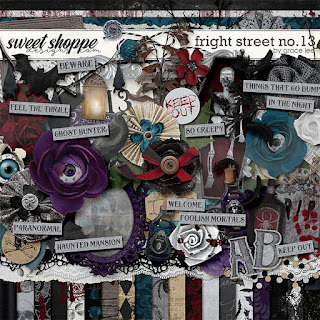 Fright Street No. 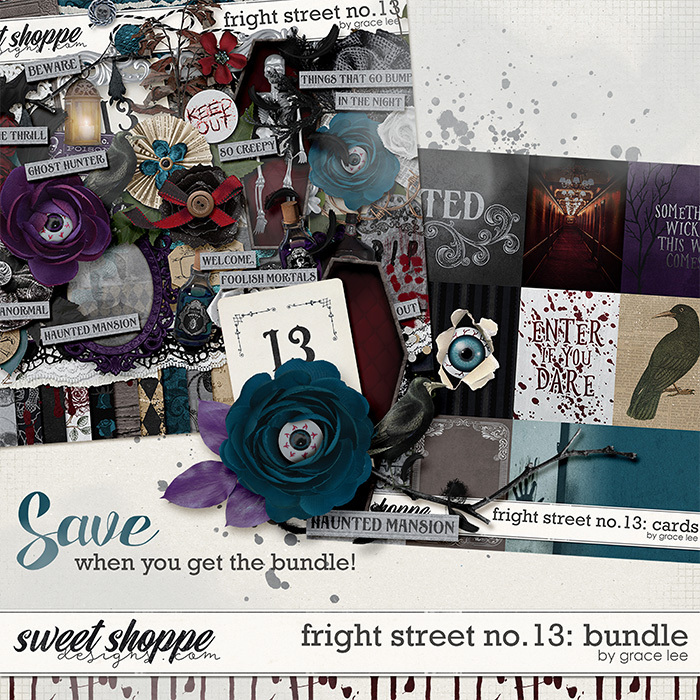 13 Bundle includes the kit and the journal cards. Also new this week is the next installment of This Time of Year series with Crystal Livesay. 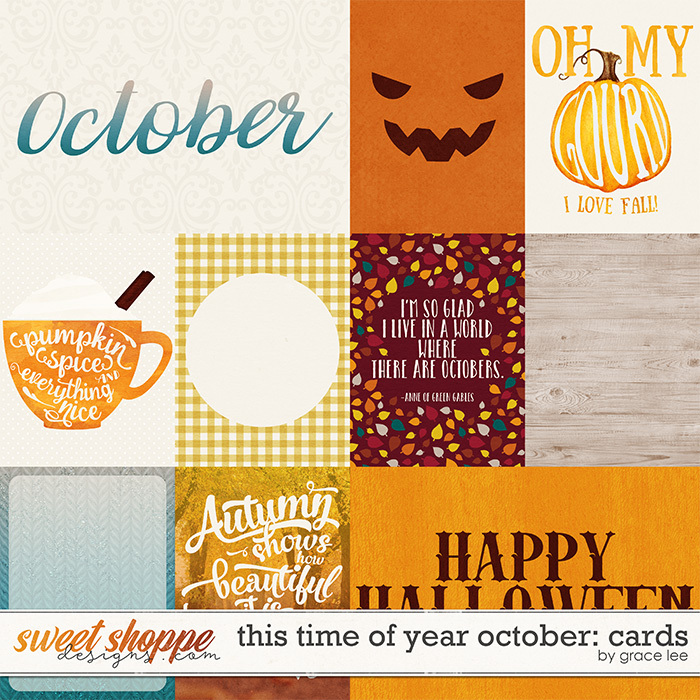 This Time of Year – October is inspired by pumpkin spice, changing leaves, frost and warm sweaters. 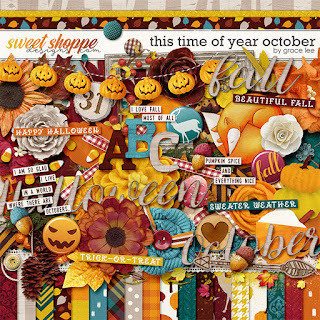 Paper and elements in beautiful rich oranges, reds, blues and greens will inspire you to create page after page of cozy fall fun and Happy Halloweens. 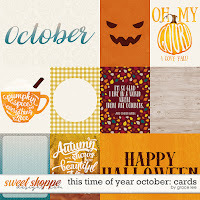 So grab a hot beverage and start scrapping with this fabulous collection. 'Check out the coordinating journal cards. 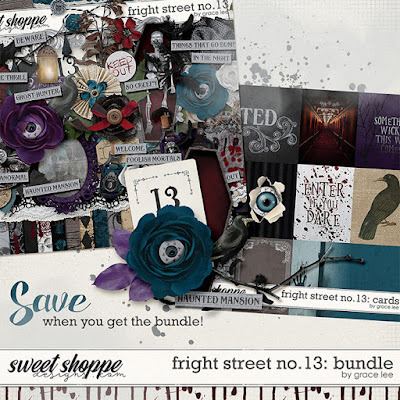 The bundle and quickpages will be available as soon as Crystal Livesay gets internet again. So keep an eye out for the full bundle.